Rob Brown has a 22-year career providing guidance, deep insights, and valuable solutions for clients facing complex, high-risk problems related to strategic planning, risk management, project valuation and planning, project portfolio analysis and management, new product development, and process improvement by employing creative thinking and advanced quantitative, business, engineering, and systems analysis. His experience spans diverse industrial and commercial fields including telecommunications, IT, energy, utilities, logistics & transportation, pharmaceuticals, electronics manufacturing, commercial real estate, and education. 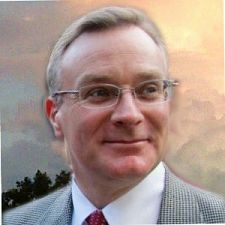 He has written about and given numerous public presentations on the value and process of decision analysis, and he’s the author of the book Business Case Analysis with R – Simulation Tutorials to Support Complex Business Decisions (Springer-Nature-Apress).